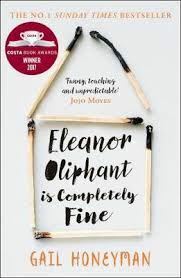 Please join YaleWomen London for our July meeting when we will be discussing Gail Honeyman's novel, Eleanor Oliphant is Completely Fine. As a change to our usual evening events, to celebrate our one-year anniversary we will enjoy a day at a private home in the Vale of the White Horse, an Area of Outstanding Natural Beauty (about an hour by train from Paddington to Swindon (then a short cab ride) or 90 minutes by car from West London). Further details are available upon request by contacting Agnisezka (see below).